A slow or inconsistent Internet connection is disheartening or annoying. That is why it’s recommended to have a backup Internet connection just in case your main connection conks out. 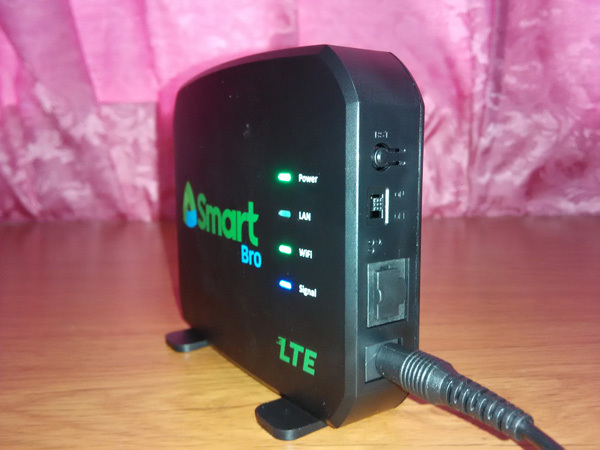 So when my Globe broadband connection recently experienced slowdowns and intermittent disconnections, I bought a Smart Bro Prepaid LTE Home WiFi device as a backup. The Smart Bro LTE Home WiFi is a wireless router with 4G or LTE capabilities. 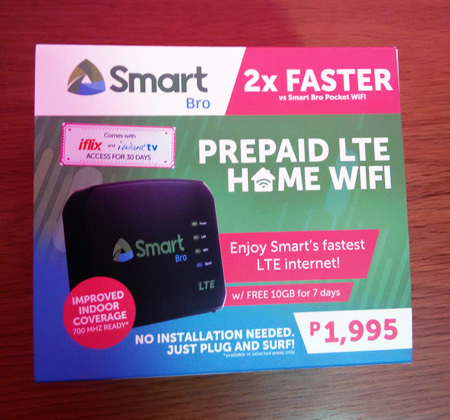 It promises 2x faster speeds than the Smart Bro Pocket WiFi device, with vastly improved indoor coverage in more areas all over the country. The Smart Bro LTE Home WiFi can connect with up to 10 devices, with a minimum speed of 512 KBps. I went to the nearest Smart store and paid P1,995 in total. The staff was kind enough to show how the device works and what to expect from it. She even invited me to test the Internet connection before taking it home. Needless to say, I was satisfied with the Internet speed and the ease of use (just plug and connect). The Smart Bro LTE Home WiFi comes in a cardboard box measuring 13.5 cm x 12 cm x 9 cm. 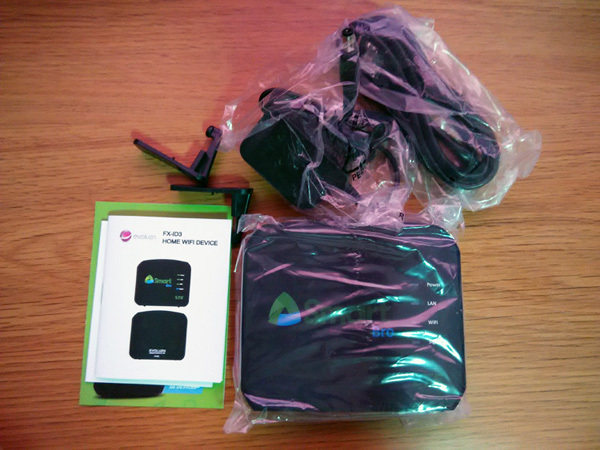 The box contains the WiFi router, a DC power plug, a LAN cable, two detachable stands, a Smart Bro data SIM, a user guide, and a warranty certificate. The package also includes 30-day subscription vouchers to iflix and ABS-CBN’s iWant TV. The Smart Bro LTE Home WiFi router is a small and lightweight device made of matte black polycarbonate material, measuring about 12 cm x 10 cm x 2.5 cm. 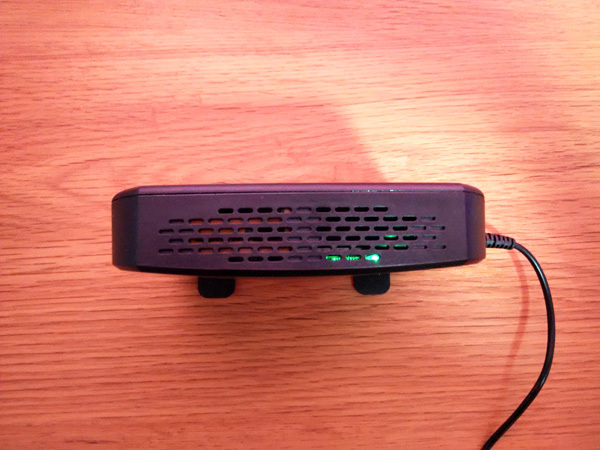 At the front are the Smart Bro logo and four LED lights indicating Power, LAN, WiFi, and Signal. A green signal light means that the reception is good while a blue one means it’s excellent. At the back are four sockets where you can attach the detachable stands. Also shown is a sticker with some information about the device such as the default network name (SSID) and WiFi password. On the right side are the power switch, an Ethernet port, a reset button, and a power port. The SIM slot is at the bottom of the device. Ventilation grills are located at the top and bottom. Don’t cover or block them as these ventilation grills prevent the device from heating up too much. To prevent other people from accessing your Smart Bro dashboard, change your default password by going to the Smart Bro Settings page. It’s also a good idea to change your WiFi password by clicking WiFi Settings. 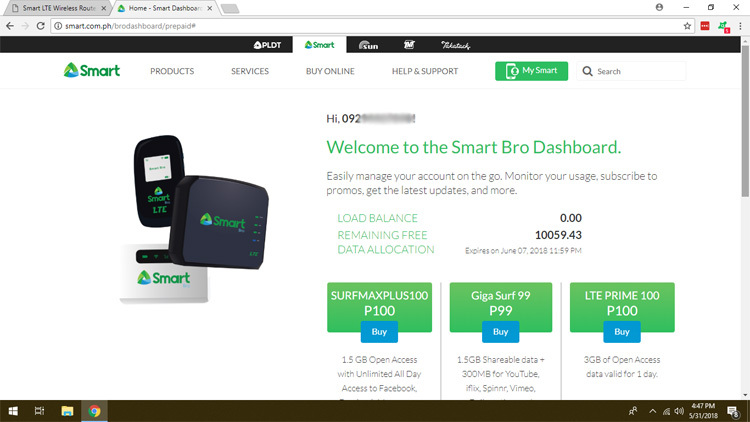 To monitor your data usage or to buy add-ons and promos, click Usage Monitoring on your Smart Bro dashboard, or by enrolling your number at the My Smart website. You can also send and receive SMS messages from the Smart Bro dashboard. You can use this to load up your SIM card or subscribe to SurfMax and GigaSurf promos. I’m quite satisfied with the Internet connection speed of the Smart Bro LTE Home WiFi, despite the fact that I’m living in the suburbs. When I tested the device at the Smart store before buying it, it showed a speed of about 40 Mbps. At home, it showed a download speed of about 15 Mbps and an upload speed of nearly 3 Mbps. 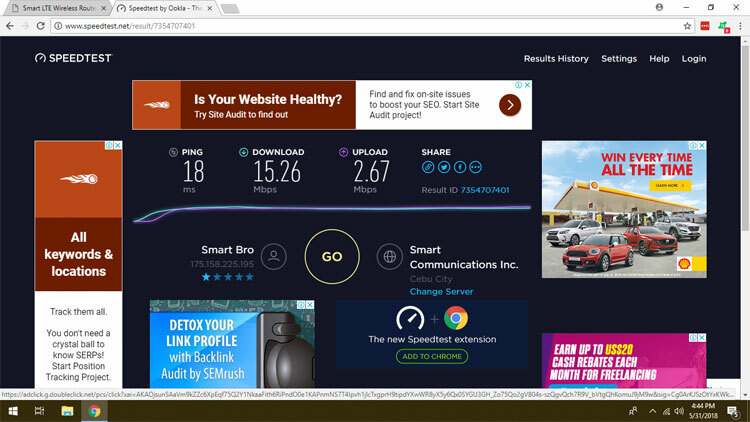 My current Globe broadband plan has a maximum speed of 10 Mbps during non-peak hours, so the Smart Bro LTE Home WiFi is superior in that department. Since I’ll be using this device for blogging, web design, web surfing, and other light work, I’m not expecting blazing fast speeds. Obviously, your connection speed may be faster or slower depending on a variety of factors, such as location and signal strength. This WiFi device is 700 MHz ready for improved indoor coverage, but it’s recommended to place it near a window for better signal reception. So far, I haven’t experienced intermittent signal loss unlike what other Smart Bro users have complained about. Just in case it happens to you, just switch it on and off. 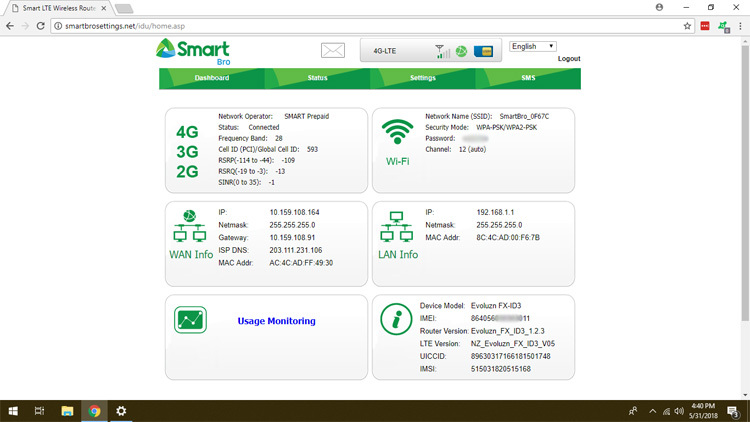 As I’ve mentioned before, the Smart Bro Prepaid LTE Home WiFi costs a one-time fee of P1,995. The package comes with 10GB of data that’s good for 7 days, along with other freebies such as the iflix and iWant TV vouchers. After 7 days or when your data allocation is used up, whichever comes first, you can subscribe to a data plan or promo. 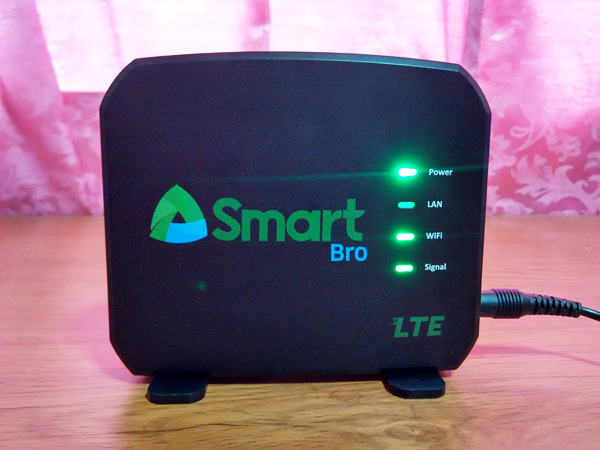 The Smart Bro Prepaid LTE Home WiFi is an excellent choice for light Internet usage. 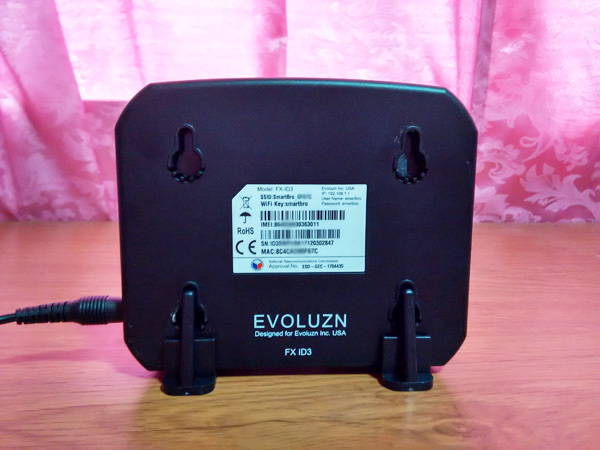 This device is great as a backup for your primary Internet connection especially during times when it suffers slowdowns and frequent disconnections. You can use this Smart WiFi device to continue your work while you wait for your main connection to return to normal. I just wish the data add-ons and promos are a little bit cheaper. The cheapest promo (Home Boost 15) costs P15 for 1GB of data, and although it’s an improvement over the Giga Surf 50 which costs P50 for the same amount of data, it’s still more expensive than existing broadband plans. If you’re a heavy Internet user, you can expect to spend P1,500 to P2,000 per month, or even more. Still, I’m extremely satisfied with my purchase and I use this device regularly every time my Globe Internet connection slows down, which usually happens at night. I recommend it for bloggers, content creators, freelancers, and anyone who needs consistent Internet access any time of the day. An excellent WiFi device for those in need of a reliable Internet connection without fixed lines. A great backup in case your main Internet connection suffers slowdowns and frequent disconnections. Data plans are a little bit pricey. Can a Third Telco Player Boost Internet Speed in the Philippines?